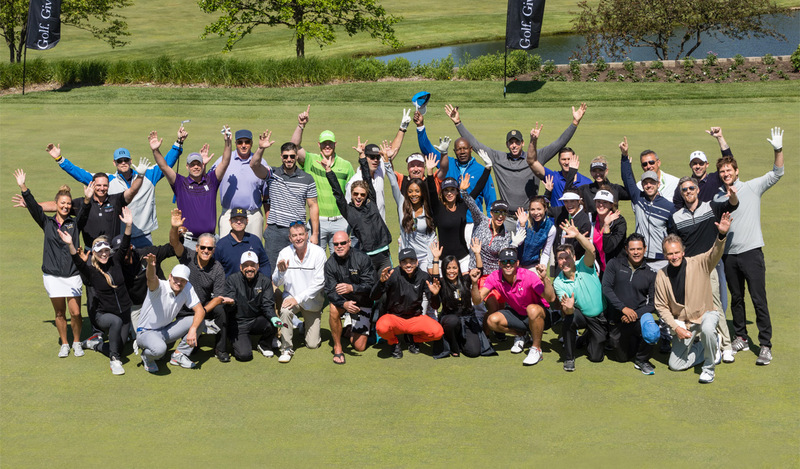 Jason Day, among the world’s best PGA golfers, and Michael Phelps, world’s most decorated Olympian, joined forces in historic Saint Charles, Illinois to host the Golf.Give.Gala on May 21-22, 2017. A star-studded gala, silent and live auction was held in the historic Hotel Baker, along the Fox River, in charming downtown Saint Charles, with a concert to follow at Chicago’s treasured Arcada Theatre. The Celebrity golf outing was held at the legendary Saint Charles Country Club, a premier private 18-hole course, founded in 1924. Proceeds from the event will go directly to benefit the Jason Day’s The Brighter Days Foundation and the Michael Phelps Foundation. “Golf.Give.Gala is bringing together some of the most celebrated sports heroes, celebrities and golf enthusiasts in one place. We are honored that so many people have committed to making this event a success for our Foundations,” Jason and Ellie Day remarked.